White Poison? Whatever Do You Mean? More and more blogs are popping up written by medical professionals on the topics of health and nutrition. I have a few favorite haunts, and I’d like to share one of them with you today. Jill, from Real Food Forager, is a Clinical Nutritionist and Chiropracter and is passionate about real food. She wrote an informative article a few years back about sugar, ahem, ‘white poison,’ and it’s link to cancer. This is not a bunch of biased hippies getting together and ruminating on the evils of sugar. Sugar’s role in the detriment to the human body, (and society), is scientifically proven by numerous studies. Sugar feeds cancer. Nutritionists have been saying that for years backed by scientific proof. One researcher providing this proof is Graig Thompson who is now the president of Memorial Sloan-Kettering Cancer Center in New York. In an interview with Gary Taubes that was presented in The New York Times Magazine article called “Is Sugar Toxic?”, Thompson explains that the fuel for cancer is blood sugar. Insulin supplies cancer cells with the nutrients (sugar) and signals to grow and multiply. Some cancers develop mutations that increases the influence of insulin on the cell, while other cells simply take advantage of the elevated levels of insulin present in the body. Thompson believes that cell mutations occur when insulin drives cells to take up and metabolize sugar. These mutations turn precancerous cells into malignant tumors. Processed sugar is hard to avoid. It is hidden–and abundant, in unlikely places. It is truly a drug. 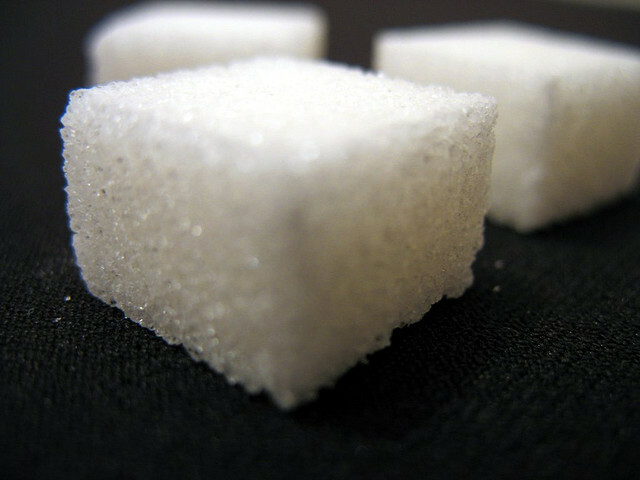 Once the body gets a little taste of sugar it can be hard to stop consuming it. It yearns for it. Pines for it. Children cry for it. Scary statistics at best. Wouldn’t you agree? Read the full text of Jill’s article and check out a few of the links provided at the bottom of the infographic. If you are looking for ways to reduce our or your family’s sugar intake, I have a great idea just in time for Halloween.